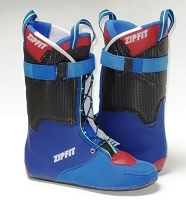 ZipFit World Cup Ski Boot Liner. The BEST liner in the world....PERIOD. ZipFit liners are filled with a material kind of like "Silly Putty". It's a bit different but the concept is the same...It molds to the shape of your foot. It physically moves to conform to all the nooks, crannies and curves of your foot. Just like Silly Putty, when you press on it with your thumb, it conforms to the shape of your thumb but instead of your thumb it's your foot! 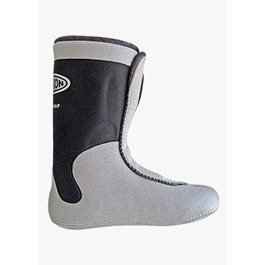 The result is an extremely accurate imprint of your foot inside the boot shell. It results in the most amazing fit.... Super comfortable... very intimate... very little slop. One of the great things about this custom liner verses other custom lines, is that you know how it will fit before you purchase the liner. Because you can wear it around in the shop for as long as you want. With other custom liners such as "foam injected liners", you have no way of knowing how they will fit until after you've injected them with foam and at that point, you're fully committedÿto purchasing them and your options are some what limited as far as customization at that point. So you are basically stuck with them. 1) The flow material in made of finely ground-up cork. Cork is a fantastic insulator, keeping your feet warmer. Plus cork is a sustainable product. 2) The flow never gets hard. So, if you change shells or your foot changes it will remold to your foot. 3) The flow does not change or move by itself. It takes pressure to make the fit change. So once the liner has molded to your foot, it will not change on it's own. 4) The liner has soft lambs wool sewn around the entire toe area! Further enhancing warmth. 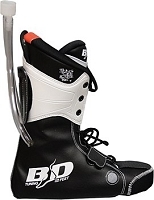 5) Flow material can be added if you find that the boot is to loose. I've had all of the other types of custom liners (e.g. foam injected and thermo moldable) and ZipFit are hands down the BEST! 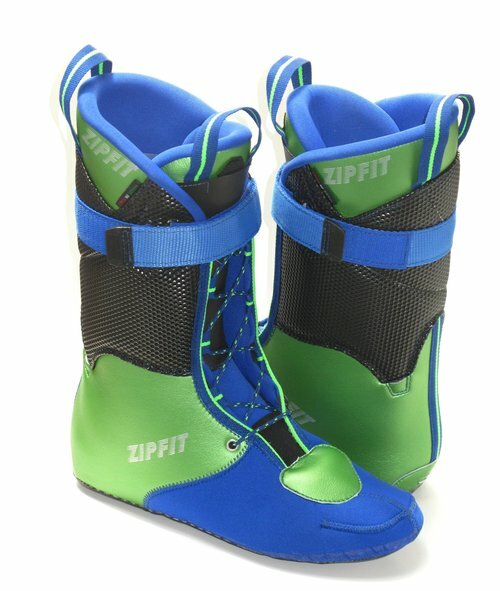 Go to www.zipfit.com for more info.